On Monday evening Danbrit pledged support of HumberPort by joining the association. HumberPort was launched in 2012 at the MultiModal Exhibition held annually at the NEC in Birmingham. The Aim of the organisation is to promote the Humber region as whole. 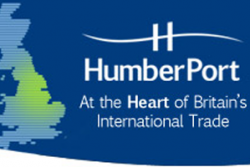 Click on the link below for the full HumberPort profile.